Clean Life and Home: 2017-2018 Teacher Planner Designs Coming Next Week! 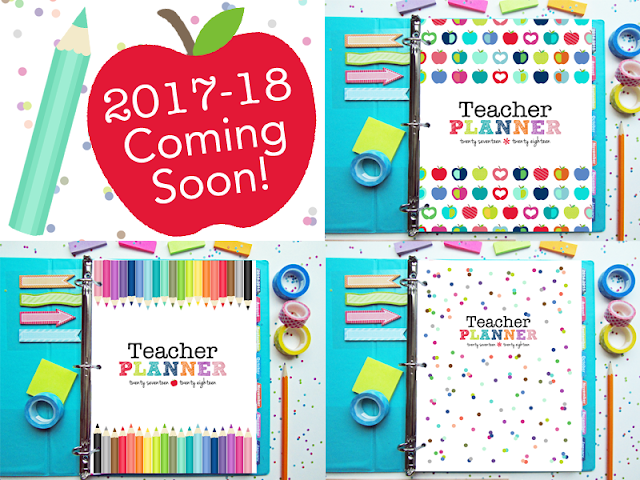 2017-2018 Teacher Planner Designs Coming Next Week! 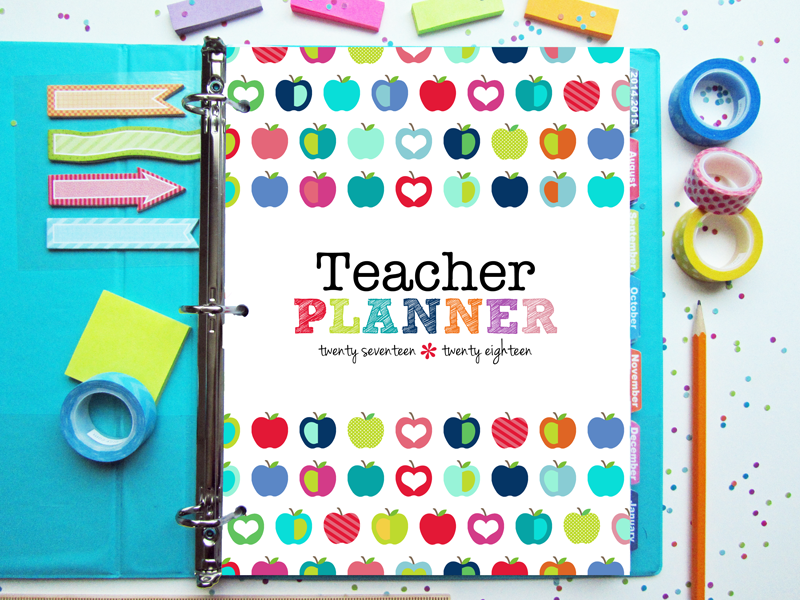 This year I've given the Teacher Planner a little makeover and added 2 new designs! I've simplified some of the page layouts, made more room for filling in the lesson planner spread and added more color. 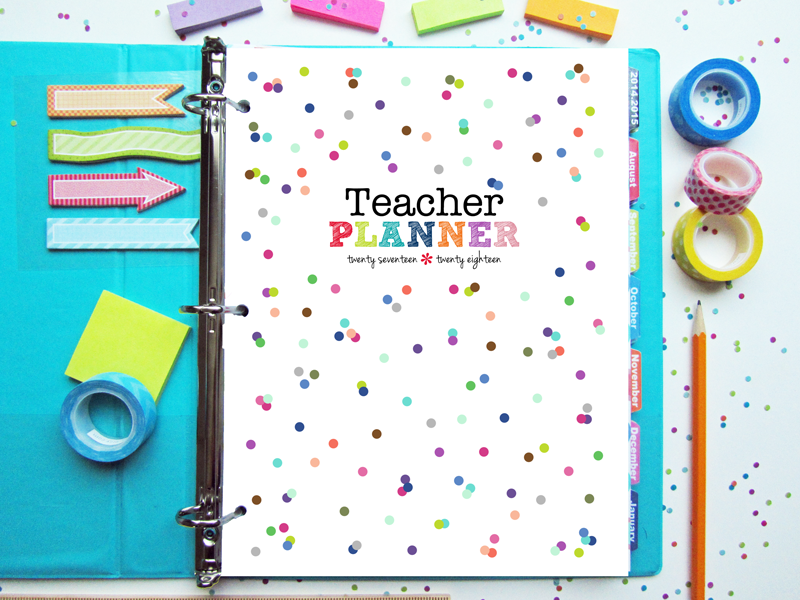 You'll love the 2017-2018 version of this planner! I took the original apple pattern and created a fun new design! It will still have all of the same great pages as before, but with a cleaner style. The new designs are also easier to resize to fit any planner you like! Read here for more information about resizing printable planner pages. These cute little colored pencils started as a simple page design detail and I decided to turn them into their own planner! Colored pencils can be found on the calendar, lesson planner and sprinkled throughout the pages. The Pencil version of this planner is fun and colorful much like the Apple design. 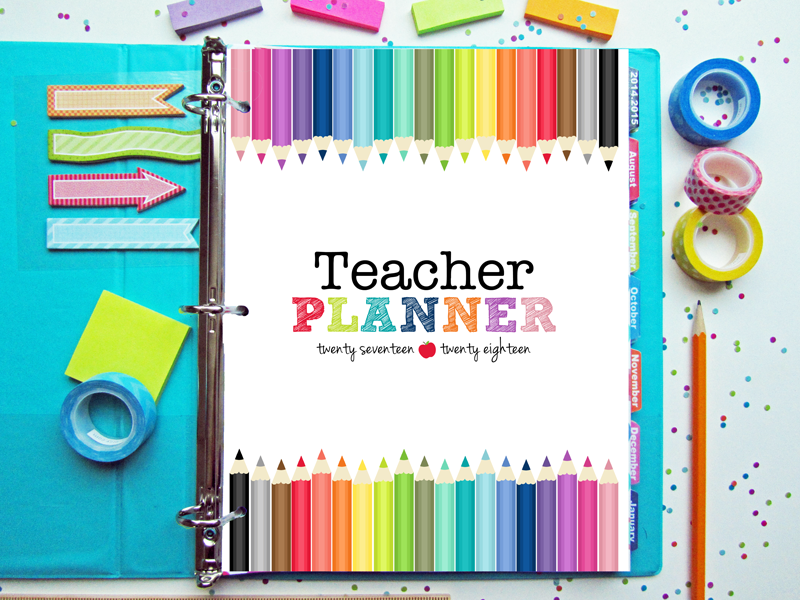 I had a few requests from high school and middle school teachers who wanted an equally fun, but slightly more grown up version of the planner. I took my Lots of Dots pattern and created a design that's colorful and will work well for those teaching at a secondary level. All 3 designs will be released in my shop next week! I'll be announcing a specific date and more details on Instagram and Facebook later this week!